Ozonated sunflower oil (POI index 159- medium) encapsulated in vegetable capsules. 60 count jar. No animal or artificial products. 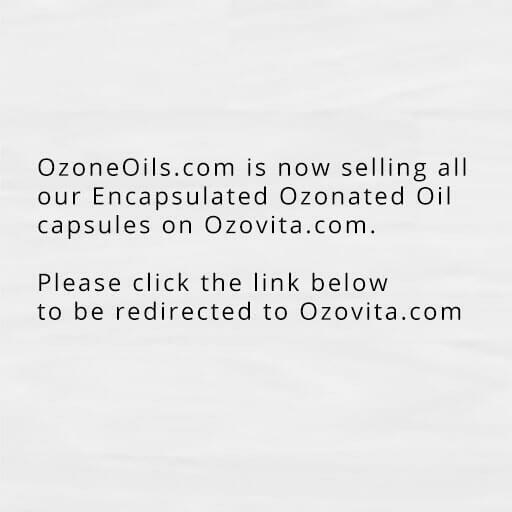 Ozonated sunlower oil (POI index 159- medium) encapsulated in vegetable capsules. 60 count jar. No animal or artificial products. 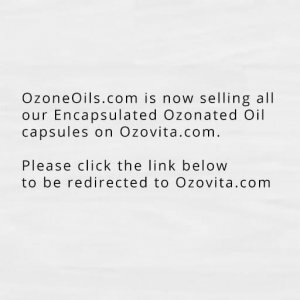 OzoneOils.com is now selling all encapsulated ozonated products through our Ozovita.com sister site. Please click here to purchase this product.